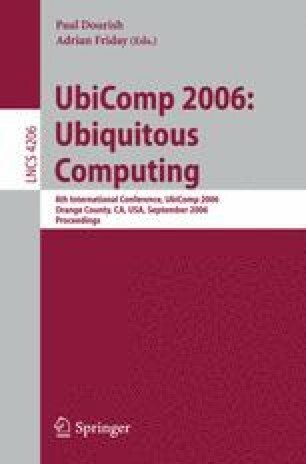 Context-aware computing is a central concept in ubiquitous computing and many suggestions for context-aware technologies and applications have been proposed. There is, however, little evidence on how these concepts and technologies play out in a real-world setting. In this paper we describe and discuss our experiences from an ongoing deployment of a suite of context-aware technologies and applications in a hospital environment, including a context-awareness infrastructure, a location tracking system, and two context-aware applications running on interactive wall displays and mobile phones. Based on an analysis of the use of these systems, we observe that many of the ideas behind context-aware computing are valid, and that the context-aware applications are useful for clinicians in their work. By reflecting on the nature of the designed context-aware technologies, we present a model which states that the triggering of context-awareness actions depend upon the accuracy of the sensed context information, the degree to which you know which action to perform in a given situation, and the consequence of performing the action.